One of the biggest roadblocks in the way of success for the Internet of Things is wireless network speed. 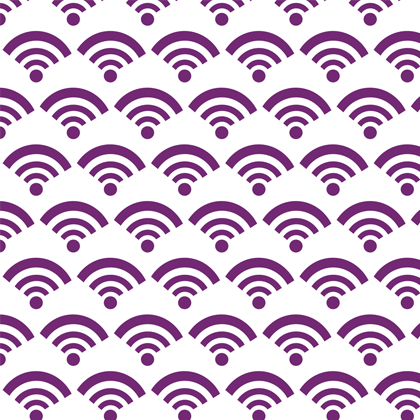 Almost all IoT devices rely on Wi-Fi, but with varying speeds (depending on the router and layout), mixed security, and the battery impact of maintaining a wireless connection, the current state of wireless networking is working against the IoT’s potential. Therefore, the arrival of Wi-Fi 6 is vital to the IoT’s immediate future. Since the introduction of wireless networking in 1999, the Wi-Fi Alliance has employed a series of unfriendly names to describe each iteration. For example, the original release was IEEE 802.11b, whereas the 2014 version was named IEEE 802.11ac. In 2019, IEEE 802.11ax is expected, but to simplify things, the Wi-Fi Alliance has renamed the standard as Wi-Fi 6, simultaneously renaming its predecessors retroactively. But Wi-Fi 6 is more than just a user-friendly naming convention for packaging. It also offers faster speeds, better frequencies, an increase in channels, and simultaneous streams. The result is a faster, more reliable wireless network. Two features that could prove to be a huge advantage to the Internet of Things. As IoT hardware improves, so the need for fast, regular internet access increases. Remember, the IoT device is typically a collection of sensors running software to discern and collect specific information. In most cases, the data isn’t stored on the device. Instead, it is uploaded to a server, where it is logged, recorded, and full analysis performed. Data might be integrated with software running on another server or used to trigger a feature or function. It could be employed to unlock a door, remotely boil a kettle, or record movement for fitness or law enforcement purposes. Fast data reduces lag, thereby improving performance. The IoT can only succeed if it can be proven to be fast, efficient, and secure. This is where Wi-Fi 6 comes in. So, what does Wi-Fi 6 bring to the tablet for IoT support? Speeds of around 10Gbps, perhaps as high as 12Gbps over short distances. Fourfold increase in support for multiple device connections. More efficient data throughput, particularly useful for IoT applications handling 4K video, VR, and AR. Improved battery life for remote hardware. While all these upgrades are significant, the extended battery life for IoT hardware possibly has the biggest impact. Target Wake Time (TWT) is a function in Wi-Fi 6 devices that increases the amount of time a device is in low power mode. Rather missing out on data, the Wi-Fi 6 devices (that is, the Wireless Access Point and the IoT hardware) schedule wake times for data to be collected and uploaded to the cloud. The result is IoT hardware benefitting not only from higher speeds, but longer battery life. It is worth remembering, however, that all of this needs new network hardware. Consumers will need to be running the latest Wi-Fi 6 routers, and until that happens, Wi-Fi 6-compatible IoT hardware will be limited to the maximum speeds of older hardware. Thanks to Wi-Fi 6 and the launch of 5G, the stage is set for the IoT to finally come of age.